According to Idaho Code 31-717, citizens have the right to approve or reject legislation adopted by the Board of County Commissioners. Known as a referendum, this power has been given to citizens by the Idaho Constitution. On February 21, 2017, the Ada County Board of County Commissioners adopted Ordinance 864. 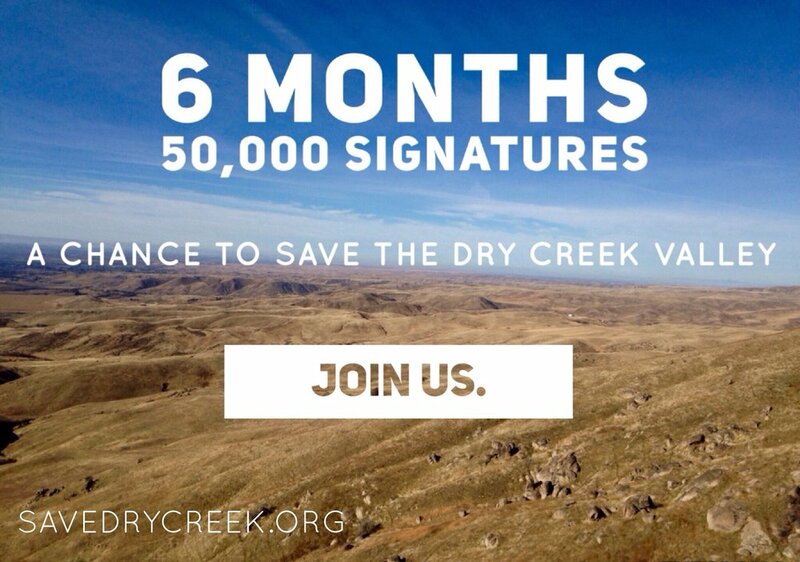 Ordinance 864 is a body of amendments governing the Dry Creek Ranch subdivision proposed by Boise Hunter Homes. Throughout this process, the community has been deprived of their right to have their voices heard in any meaningful way regarding this development. The subdivision proposed by Boise Hunter Homes will have a larger population than 86% of municipalities in the state of Idaho. Considering the magnitude of this development and its effects on residents, we believe the public must be given a real chance to weigh in. The election a referendum would compel will allow them to do so. HOW DOES A REFERENDUM WORK? Referendum petitioners have 180 days to collect the signatures of 20% of the qualified electors voting in Ada County's last general election. In the last general election (November 2016), 202,971 people voted. For the referendum to be successful, we will need to collect the signatures of roughly 50,000 registered voters in 6 months. 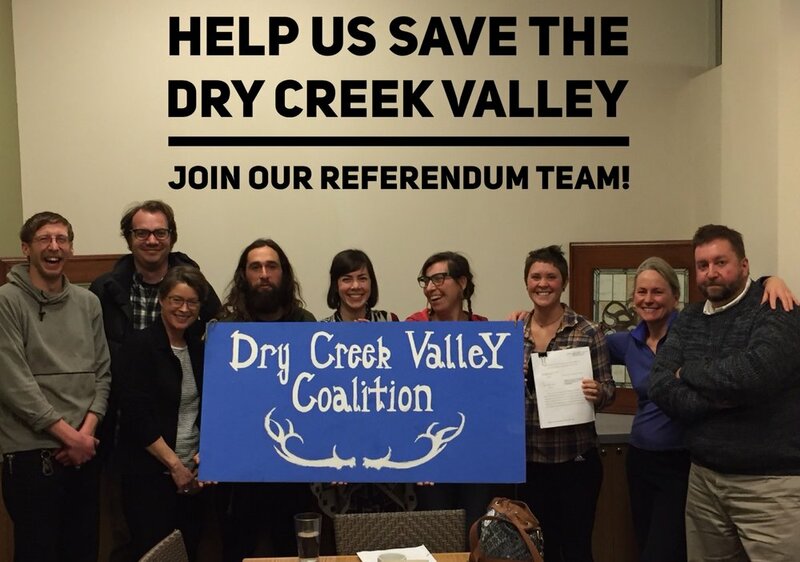 On May 15, 2017, the Dry Creek Valley Coalition filed an initial petition for referendum. Ada County Clerk, Christopher D. Rich, refused to file the referendum petition, citing the petition as untimely. According to Idaho law and Ada County Code, the petition was not untimely. After giving Ada County the chance to rectify this error, we pursued litigation. Read more about this serious citizens' rights issue here. On December 13, 2017, Judge Medema ordered Clerk Rich to file our initial petition for referendum. On December 14, 2017, pursuant to the judge's order, Clerk Rich filed our initial petition. We are gathering signatures now. The referendum deadline is 7/30/18 at 5 PM. All signatures must be collected in person. We regret to report that we did not reach the required number of signatures needed for our referendum to be successful. Although we did not reach our goal, this political exercise was an extremely valuable endeavor and we will continue to fight this development.